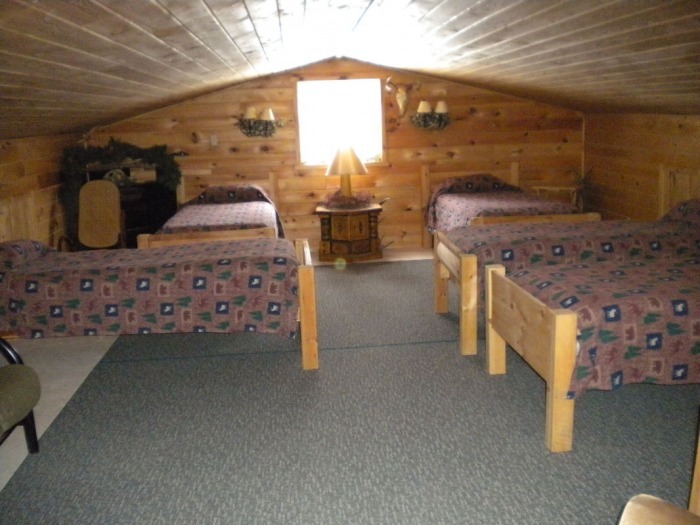 We offer clean, comfortable, and spacious lodging for up to 16 people. 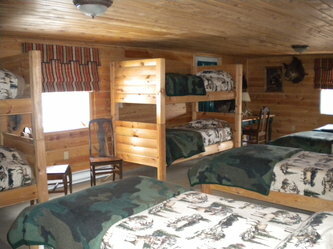 Lodging is available for an additional $30.00 per person. 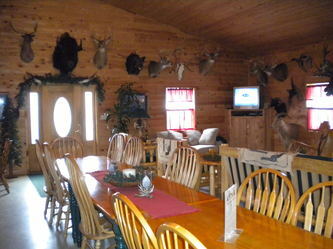 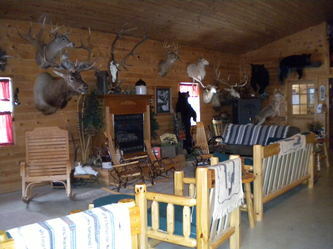 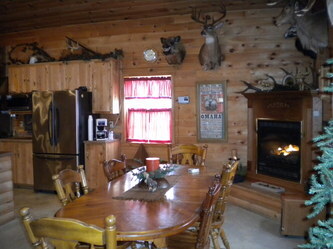 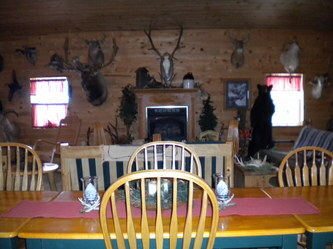 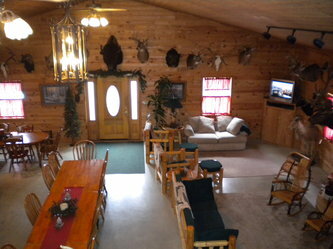 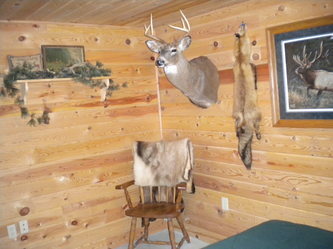 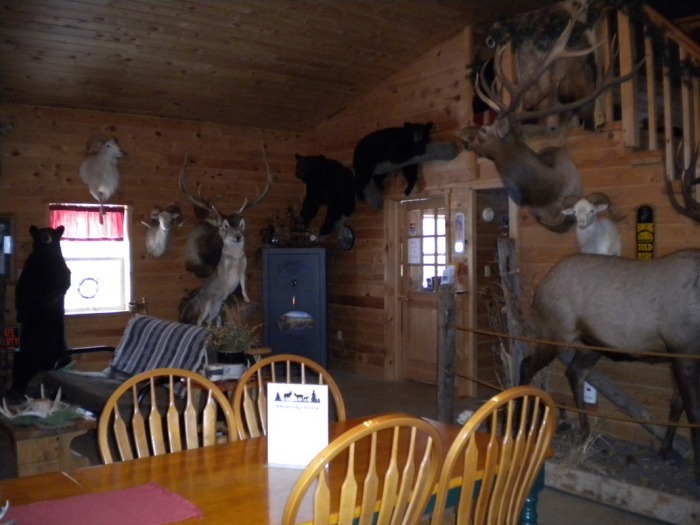 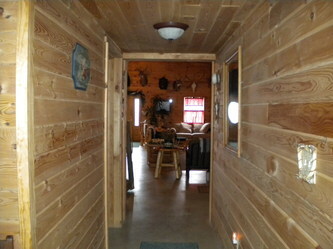 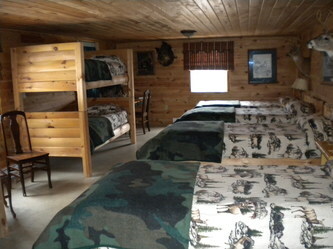 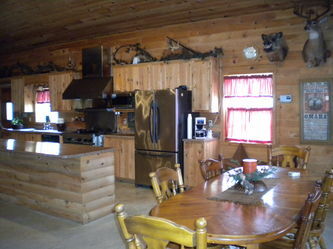 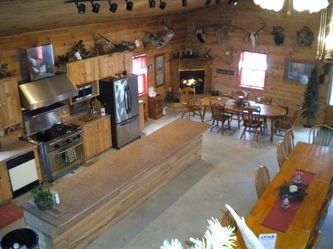 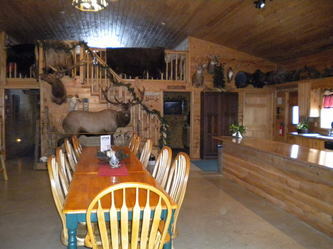 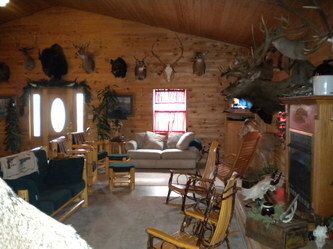 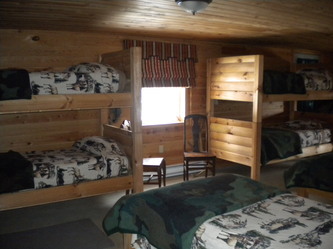 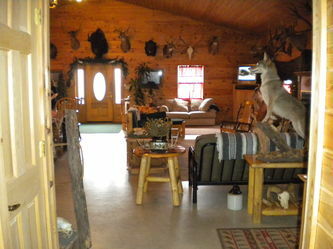 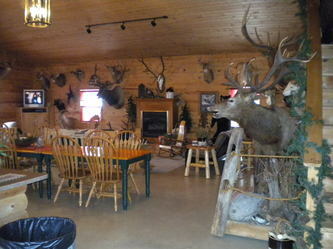 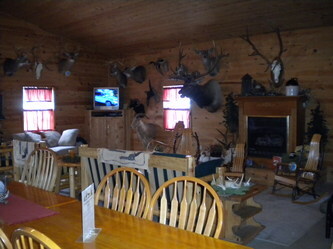 Non Hunter Lodging is $50.00 per person. 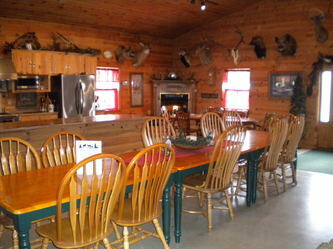 A country breakfast is included with lodging. 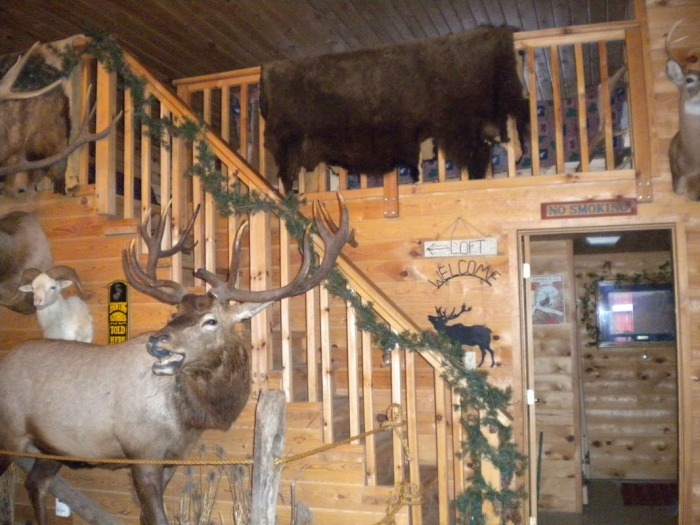 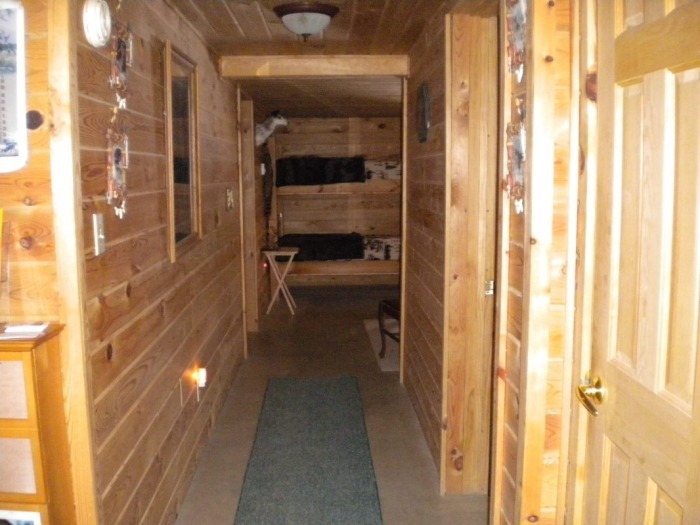 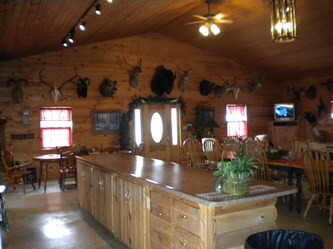 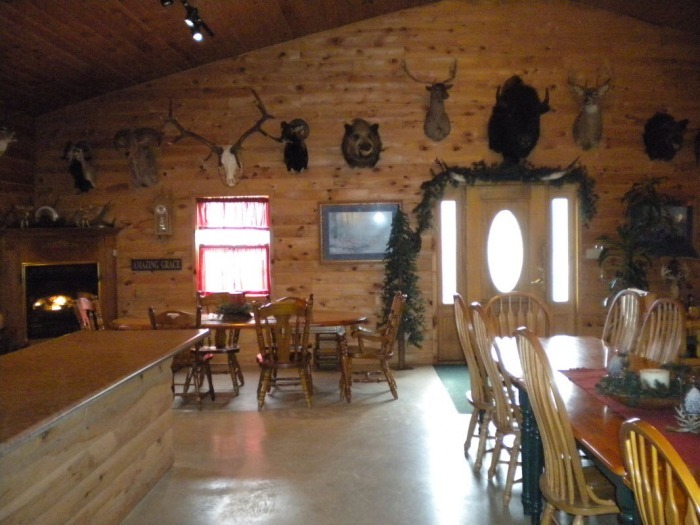 The lodge is a 60 x 80 ft log cabin style structure that provides a spacious area for relaxing, spending time with others, and sharing hunting stories. 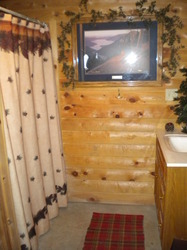 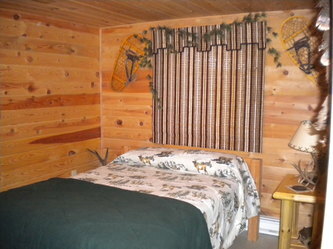 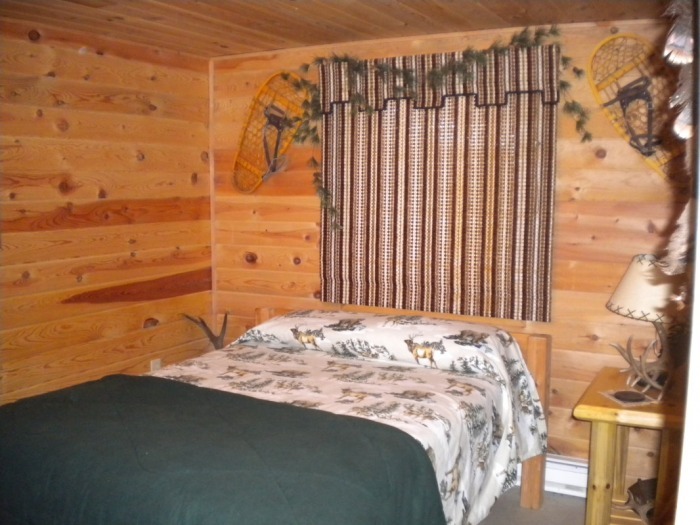 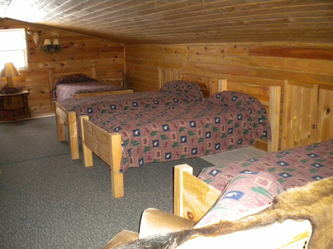 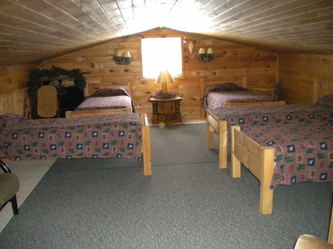 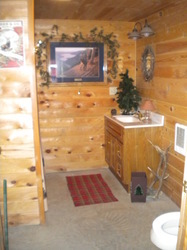 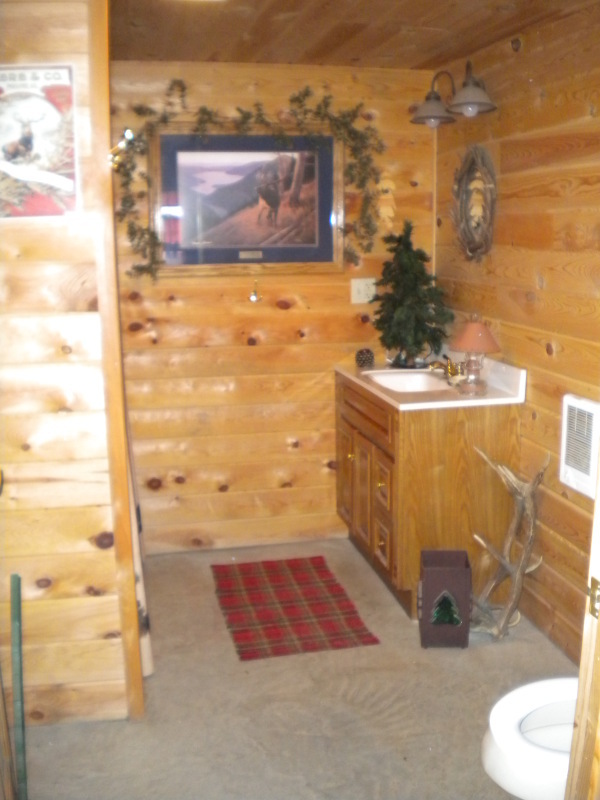 In addition, the lodge is handicapped accessible and equipped with both male and female restrooms. Check out the pictures of our lodge below. Click on any picture to enlarge the image.